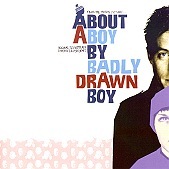 The soundtrack to the motion picture About A Boy, starring Hugh Grant, is completely composed and performed by Badly Drawn Boy. As a result, you get the feeling the movie is something you want to see, as the soundtrack is nothing short of phenomenal. Tender, airy pop songs with a quirky pop bent, Badly Drawn Boy makes sense out of the casual and odd sounds, using everything to his advantage as he paints the songs before you, crafting, shaping, and molding everything as he goes. Whether it's a harmony-filled pop number, an acoustic jaunt, or a full-on orchestrated pop moment, Badly Drawn Boy can provide, writing some of the most poignant, heartfelt pop songs as of late. Brilliant, mesmerizing pop songs that will leave you astonished and pleased, Badly Drawn Boy has hit pay dirt here. I'll give this an A+. Badawi: The Heretic of Ether Badly Drawn Boy: Have You Fed The Fish?